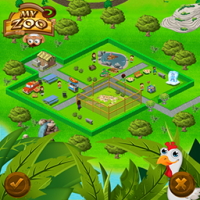 Create your own animal wonderland and attract visitors from all over the world! Build various shops,attractions and upgrade your enclosures! Take Care of domestic and exotic animals like the mighty T-Rex! Download now and become the best zookeeper in the world!